As the 2018-19 Premier League season entered its final phase the race for the top 4 finish has got much more intense. Arsenal are up and running as their 2-0 win over Manchester United on March 10 has lifted the team’s confidence. 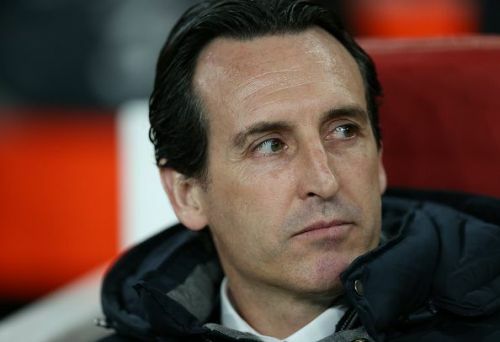 Manager Unai Emery will be hoping for a top 4 finish which would enable his side to qualify for next season’s Champions League. Although the Gunners won their Europa League pre-quarter game against the French club Stade Rennais with a 3-0 scoreline, their win over Manchester United will surely act as a morale booster. Arsenal has looked a much more improved side as compared to last season. Their forward line has looked much more intense and penetrative as their strikers have played much more freely. Their midfield has looked fluid and has supported the forward line quite well. Their midfielders have looked to build up play by creating more chances which have helped the strikers move inside the box with ease. Their defense has looked resolute but still, they need to show more resistance when it comes to playing against sides who are quick on counter attacks and teams who are dangerous at the flanks. Unai Emery and team management have allowed the players to play to their strengths. Emery has trusted in his players' abilities and the players are responding well. The 47-year-old manager has made some vital changes in the team’s composition as per the opposition’s strengths which is working quite well at the moment. The induction of young Uruguayan Lucas Torreira has added a much-needed bite in the midfield. Arsenal has got a good mix of youth and experience in their squad which is working in the team's favour. The North London club has got some top class performers in their line up who have played a crucial role for the side in the ongoing season. We take a look at 5 such players who have impressed the most this season.